Some claim blockchain will change the nature of trust – but what does this actually mean? Miles worth of column inches have been dedicated to blockchain over the last few years, with many of those claiming that blockchain will change the nature of trust – but what does this actually mean? To understand how our perception of trust might evolve in the coming years, we must first understand just how blockchain actually works. Initially designed as the technology to underpin Bitcoin, blockchain first existed as a way to track and verify the exchange of digital currency so that it could not be traded fraudulently. Blockchain does this by allowing all transactions to be recorded in a way that is public and secure. In terms of cryptocurrency this means that a third party is no longer required to mediate and verify transactions. With traditional fiat currency, a third party such as a bank would ensure that one party paid the other as per their agreement, but blockchain eliminates the need for this. Think of the technology as a database that exists across all devices that access it, rather than on one centralised server. Every transaction is added to a chronological list of transactions that happened before it – essentially, each one is another ‘block’ added on to the ‘chain.’ Transactions are then verified – in terms of Bitcoin, this would mean that the technology checks that you do possess the Bitcoin that you claim to, and you haven’t already traded it elsewhere. Once this transaction happens and has therefore been stored on the chain, it cannot be edited or changed, which is partly why it is so secure. The Bitcoin is transferred from one person to another without the need for a middleman, and the process is recorded and verified. How will it change trust? Bitcoin has had a tough ride in the press but blockchain has managed to emerge as a separate and promising entity in itself. 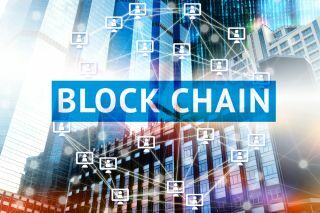 Just as it eliminates the need for third party mediation in terms of financial exchange, it has become clear that blockchain could diminish the need for broker services across a wide range of industries. We are used to putting our trust into third party brokers to ensure all sorts of processes run smoothly – buying a house, taking out insurance or finding a job – but this could all change with the involvement of blockchain. The transactions that constitute blocks on the Bitcoin blockchain could be conceivably replaced by all sorts of varied indicators of activity – for instance, each block might hold a different piece of information about a person’s medical health or employment history. This is what will allow two parties to enter into a contract, or make a collective decision, without the involvement of a mediatory party. Where will see blockchain used? The applications of this process are myriad. Take, for instance, a person who is looking to take out travel insurance ahead of a ski holiday. Today, this person goes to their insurer and usually pays a flat rate for a sporting holiday, plus or minus costs based on a few variables that can easily be forged i.e. existing injuries or cases of ill health likely to be exacerbated by strenuous activity. If blockchain was applied to this context, the way the transaction is negotiated would change dramatically. Assume that in the future our entire medical histories are recorded on the blockchain and verified by the institutions that diagnosed or medicated for them. The blocks on the blockchain can also contain ‘smart contracts’ – contracts that are programmed to execute certain actions on the condition of other activity. In the medical insurance context, this would mean that the system would be able to automatically deliver a personalised insurance quote based on each individual’s medical history instantaneously. This would reduce the need for an insurance negotiator, reduce the insurance price for a majority of people and makes the entire process more efficient. Rather than the insurance provider having to trust that the individual is being honest about their medical history, or the individual having to trust that they are getting a fair deal, the process is negotiated equitably by use of the technology. This means that we no longer have to factor in trust or risk within these processes and can instead just rely on technology to provide an equitable outcome in every case. Another industry where blockchain is expected to have great impact is recruitment and onboarding. In this case, blockchain alleviates the need for employers to put trust into the individual that the information on their CV is accurate, and it also reduces the need for third parties like recruitment agents. Blockchain-based CVs allow candidates to store their entire employment and qualification history on the blockchain. The information on the CV, such as previous roles held, or degree achieved, is verified by the relevant parties such as former employers or universities and is, therefore, of great use to the employer. Rather than having to investigate the validity of claims made by candidates on their CV or making a judgement on their trustworthiness from an interview, the employer knows for certain that the information is accurate. In addition to removing the need for trust from this situation, blockchain-based CVs can reduce the need for third party mediation. If a company can list all the requisite criteria a candidate needs to be eligible for job role that it is looking to fill, and a candidate has a verified and secure list of all their own experiences and attributes, the technology itself can match the two without a mediator. Again, the need for a third party is reduced because both parties can trust that the algorithm is operating in a way that is favourable to both of them. There are many, many other industries where blockchain is capable of reducing the need for two parties to put trust in one other that the claims they are respectively making are reliable. By extension of this, the need for third party brokerage - employed to manage risk for both sides associated with making transactions based on trust - will also be reduced. Areas like finance, accounting, musical royalties, political voting and government identification are all exploring how blockchain will change the way they operate. The range of areas that could be disrupted by blockchain is enormously diverse, but the solution is similarly simple in each case – by putting this information onto a blockchain, you reduce the need for mediation.